Previously published as Hong Kong Stories Volume 1. Please note: this is a re-edited edition of three novellas previously published as the Hong Kong Stories (White Dragon, Nine Dragons and Dragon Head). 4.0 out of 5 starsAnother excellent Dawson novel with a spin off character. I met Beatrix in the Milton series. All of these books are part of a genre that calls for a suspension of disbelief as to the abilities of the heroes and sometimes villains. Part of the template for the genre is that highly trained women can be as effective physically as highly trained men in fighting or sports, which has been disproved many times, sometimes more so, than men, which means it takes even greater effort to suspend disbelief. There's nothing new in Dawson's novels, or for that matter, most of these genre novels. If you have read a lot of them, you will recognize everything as being derivative. And that's okay b/c we love the genre. But, what counts is good writing. And Dawson is a really good writer. I have read 10 of his novels and a novella in a few weeks and look more forward to reading them all than any other writer right now. 4.0 out of 5 starsA little slow, but worth reading. I think I might like the Beatrix Rose series more than the author's John Milton series. She's such a complicated character with flaws and issues, who doesn't always make the right decision. 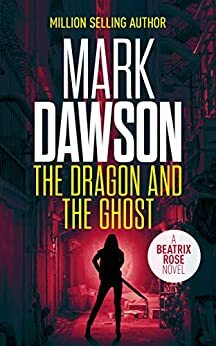 There were times in this book where the narrative felt a little overwritten and thus paced a little slowly for my tastes in thrillers, but it was otherwise an entertaining read that revealed more about one of my favorites among Mark Dawson's characters. Hoping to find out where assassin's have taken her daughter to, Beatrix goes to work. For a triad leader. In need of money, her job is to eliminate anyone she's asked to. I've read this book before but thought it had another title. I think I was deceived. Compiled from three previous novellas, the Hong Kong stories, plus a bit of new. It tells the story of an English agent hiding from her former employer and watching her world fall apart. But Beatrix Rose is a survivor and will do what it takes! Like the flawed hero, John Milton, in another one of his series, Mark Dawson again gives us someone we want to see win, even as we wince at what it takes for her to survive. Beatrix Rose has been betrayed. Once a coveted assassin for a clandestine agency in the British government. They murdered her husband, but we're unsuccessful in killing her. The have her young daughter. She's on the run. Her whole world is in the throes of violence, and now sadly addiction.